These advanced procedures help patients to improve overall function, movement, and stability of the entire body. This helps patients with a variety of problems such as piriformis syndrome, tight muscles, muscle spasms, hypertonicity, inflexibility, and stiffness of joints and spine. This is the multiple level approach to rehabilitating the spine, neck, back, and associated structures along with treating extremity issues. This type of procedure is very effective in treating many conditions and is done in a systematic fashion that only our clinic does. The conditions that respond with these types of treatments are listed in the infographic. To get more information about our physical rehabilitation services, contact the Spine Pain Center today. 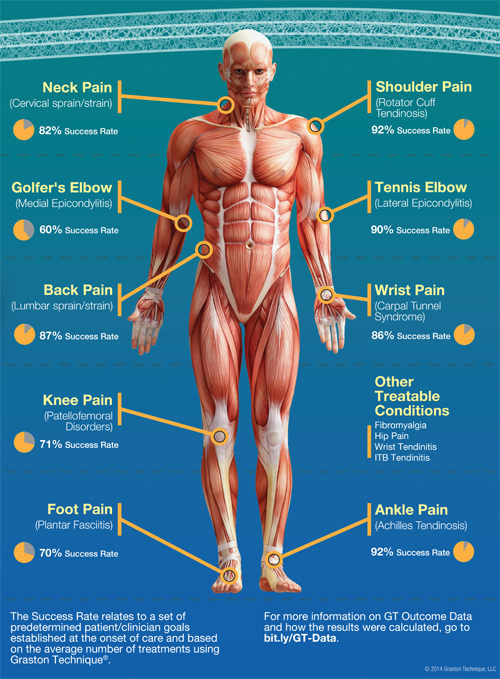 We can help with many different physical problems and help you get relief. Check out our advanced medical care and chiropractic care services as well! Call either of our Spine Pain Centers in North Charleston, SC at 843-606-2412 or the Mount Pleasant, SC at 843-884-8444 to make an appointment and start your healing journey.